Established in early 2002, STREAM Vietnam has so far attained a number of good experiences and lessons in using participatory approaches for its work. 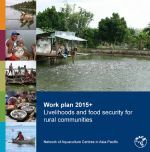 The Country Office has been able to link to a wide range of stakeholders, and is working hard to build close relationships amongst them, so that institutional entities can better support the livelihoods of poor aquatic resources users, and support disadvantaged groups of people to improve their living standards by themselves. 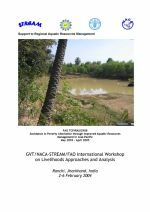 This paper advocates strategies, processes and practices that enable: livelihoods approaches rather than resource-based approaches, ‘direct’ institutional and policy development, rather than ‘project demonstrations’, and support for regional, national and local communications. 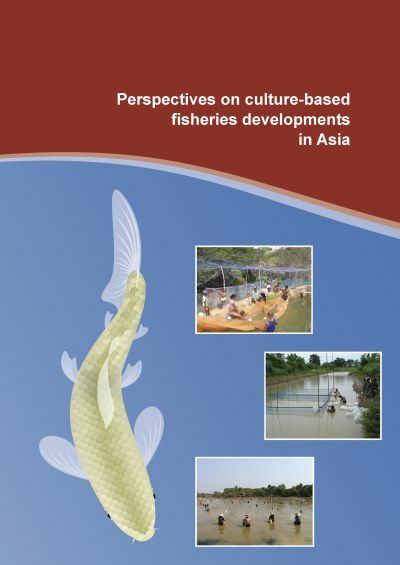 It was presented at the Symposium on Participatory approaches in reservoir fisheries management: Issues, challenges and policy, October 4-6th 2004 at the Culture Club Resort, Dambulla, Sri Lanka hosted by the National Aquaculture Development Authority in collaboration with FAO.. 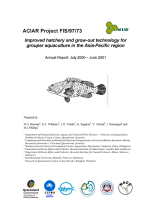 This is the annual report 2000-2001 of the ACIAR Project FIS/97/73 Improved hatchery and grow-out technolgy for grouper aquaculture in the Asia-Pacific region. 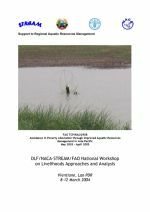 The report describes progress by research partners in development of larval rearing, grow-out diet development, and collaboration via the Asia-Pacific Marine Finfish Aquaculture Network. It also provides an indicative research workplan for the year ahead and future plans for the network. The purpose of the workshop was to develop and document mechanisms for training in livelihoods approaches and analysis, and to build national capacity to conduct livelihoods studies. The workshop in Yangon was the fourth in a series, the first of which was held in Iloilo City, Philippines, in November 2003, the second in Ranchi, India, in February 2004, and the third in Vientiane, Lao PDR in March 2004. A subsequent workshop will take place in Yunnan, China. 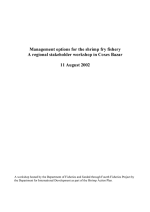 These are the proceedings of a workshop, funded by the APEC Fisheries Working Group Project 02/2000. 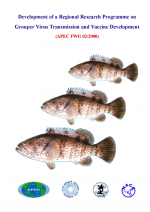 The project developed a framework with nine major research components: Health and production at hatcheries, regional collaborative disease resource centers, regional disease monitoring and surveillance, improving regional diagnostic capabilities, responsible trans-boundary movement, farm health management, vaccines and vaccination, funding mechanisms and establishment of an ad-hoc working group. The purpose of the workshop was to develop and document mechanisms for training in livelihoods approaches and analysis, and to build national capacity to conduct livelihoods analysis. The workshop in Ranchi was a joint India-Nepal event. A central element of the workshop was a visit to the Jabarrah community, where participants learnt about the community’s livelihoods. In addition to gaining information about the Jabarrah community itself, participants also had important insights into how best to conduct livelihoods analyses. 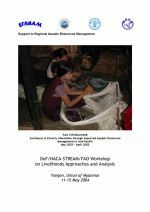 This is the report of the “DLF/NACA-STREAM/FAO National Workshop on Livelihoods Approaches and Analysis” that was conducted in Vientiane, Lao PDR from 8-12 March 2004. The purpose of the workshop was to develop and document mechanisms for training in livelihoods approaches and analysis, and to build national capacity to conduct livelihoods analysis. 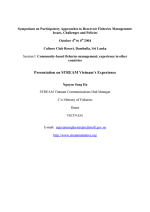 The workshop in Vientiane was the first STREAM event in Lao PDR. 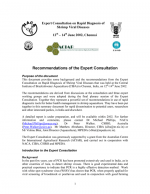 The recommendations are derived from discussions at the consultation and three expert working groups and were adopted during the final plenary session of the Expert Consultation. Together they represent a powerful set of recommendations in use of rapid diagnostic tools for better health management in shrimp aquaculture. They have been put together in this summary document for rapid dissemination to potential users, researchers and other interested parties, in India and elsewhere. In February 2002 the shrimp fry collection ban was placed into abeyance pending further review of how biodiversity could be conserved at the same time as protecting the livelihoods of 400,000 fry collectors. 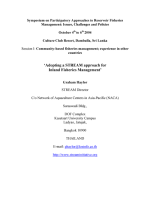 A Shrimp Action Plan for the period April - September 2002 was drawn up to identify trends impacting on distribution and growth in the shrimp sector, and to explore alternative models for the management of fry resource and to assess their social, institutional and economic implications. 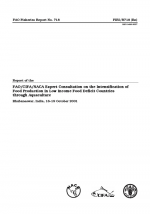 This document was the result of the discussions, conclusions and recommendations reached during the Expert Consultation in consultation held in Bhubaneswar, India, 16-19 October 2001. It was based on country reviews (Bangladesh, Bhutan, India, Myanmar, Pakistan, Nepal, and Sri Lanka), a synthesis paper (India), a technical guideline paper (Chinese experience) and resource expert papers (diseases and health management, water use and environment, nutrition and feeding) made available or presented during the Expert Consultation.